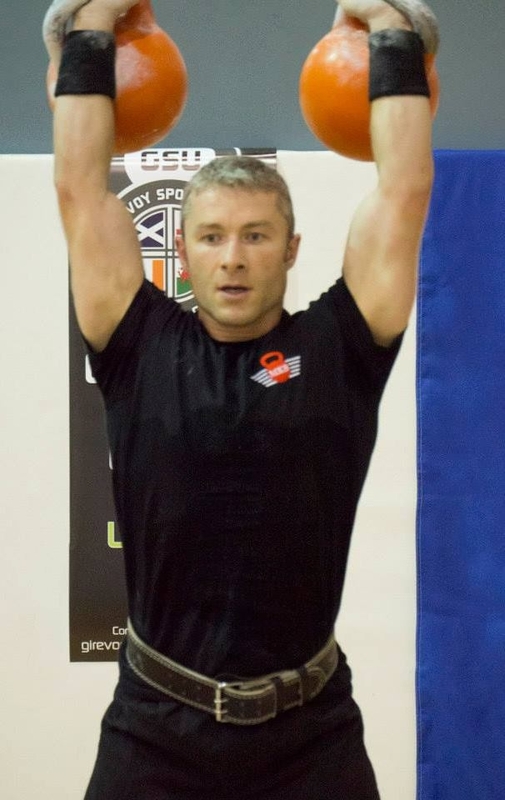 Royal Berkshire FRS firefighter Tom Mayes has beaten 80 athletes from seven countries to win the prestigious weightlifting title of British Kettleball Champion. The full-time firefighter from Dee Road fire station in Tilehurst started experimenting with the ball-shaped weights six years ago and last earlier this month [Sept] took part in his first British Kettlebell Sports Open Championship. Belying his lack of experience, FF Mayes beat out a large field of fellow kettleballers to clinch the title of ‘British Champion’ in the Men’s 28kg Long Cycle category. Speaking about his success FF Mayes said: “I started kettlebell training after moving away from my gym and finding the extra hour of travelling tough to justify. I was soon hooked and just tried to push it further and further. Mayes has been a firefighter for Royal Berkshire Fire and Rescue for seven years alongside teaching kettleball and martial arts at the Reebok Sports Club in Canary Wharf. He has earned the rank of ‘Candidate for Master of Sports’ in Girevoy Sport – the Russian name for kettlebells – and has now set his sights on becoming a ‘Master of Sports’, the top rank.